How soon can you get a tow truck out to Port Hudson? Being a popular tourist attraction, there are many reasons you might end up needing a tow truck in Port Hudson. Maybe the parking near the historic site got a little too crowded and your parking neighbor tried to get out in too much of a hurry. Maybe a distracted driver wasn’t paying attention to the road like they should have been. Or maybe your car all of a sudden stopped working on you. 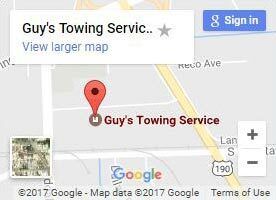 Whatever the cause, Guy’s Towing Service is here to handle all of your towing service needs. We’ll make sure to get you and your vehicle back home so that you can get on with what’s important in your life. Pay close attention when driving in Louisiana! 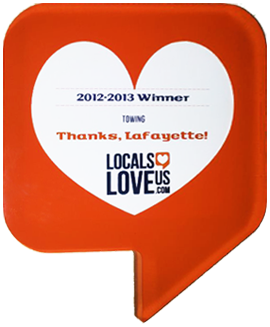 Though it’s a state of immeasurable beauty, Louisiana is notorious for one particular poor quality as well; bad drivers. According to The National Highway Traffic Safety Administration, Texas and Louisiana are tied for having the worst drivers in the country. The Pelican State, in particular, is known for ignoring or disobeying traffic signals. So make sure to pay extra attention at stop and yield signs so you aren’t hit by someone! Sometimes, a basic truck and tow hook isn’t quite enough for the job. While it’s strong enough for cars in the shoulder, sometimes you need a little bit more. Medium duty towing gives you a slightly bigger truck if you have a larger vehicle. This includes toy haulers and motorhomes and just about any other residential vehicle there is. Heavy duty tow trucks are reserved for unusual, large, or hard-to-reach vehicles. You might need heavy duty towing if your car got caught in a floor or you have a tipped semi-truck. Specialized vehicles can get you out of a pinch when standard towing isn’t enough. Landoll trailers and Peterbilts can help move industrial vehicles or do load shifts for cargo delivery. Can you really rush all the way out to Port Hudson? While our nearest location is in Baton Rouge, we often have several trucks already out on dispatch that can be rerouted to close the distance faster. 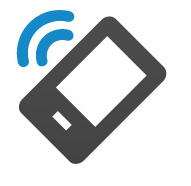 If not, we’ll work as fast as we can to get someone out there to minimize your wait time. If we can get you on your way without having to tow your car, we’ll make sure to do that first! Our tow truck drivers are experienced in basic repairs such as changing a flat tire and jump-starting a battery, and can even bring you gas if you’re miles away from the nearest gas station. 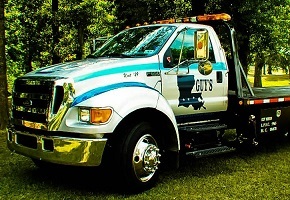 And all of our services, including roadside assistance, are available in Port Hudson 24 hours a day. The choice is clear; call GTS for a towing and roadside assistance whenever you’re in need! 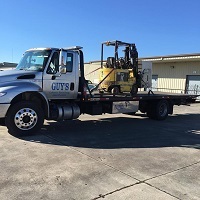 When it’s time for a tow truck to come pull you out, call our Baton Rouge office. Right away, we’ll send out the appropriate truck to tow home your vehicle.